The majority of new commercial vehicles sold now come with DAB as standard, according to new industry data. 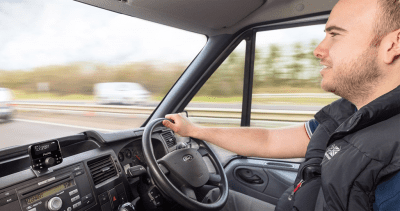 In Q3 2018, 54.3% of commercial vehicles were line fitted with DAB as standard, up from 50.5% in Q2 2018, according to the latest data from CAP and The Society of Motor Manufacturers and Traders show. This means that 175,000 new commercial vehicles with DAB as standard have been sold in the last 12 months. The CAP/SMMT data on new cars showed that the percentage of new cars with DAB in Q3 2018 has increased to 91.4%, up from 87.5% compared to the same quarter last year. This means a total of 545,000 new cars with DAB as standard were sold in Q3 2018. According to Rajar Q2 2018 data, 23.7% of all radio listening takes place in car. Vehicle manufacturers made the decision to fit digital radio in new cars in response to the increasing popularity of digital radio, the increase in the number of exclusive digital radio stations, and the expansion of DAB transmitters to cover the major road network.